South Carolina attorney and author, Kenneth Berger, has received a number of awards and honors from both colleagues and clients. We share these with you not out of pride, but to help you understand our commitment to quality and results. Kenneth Berger was selected as one of SC Lawyers Weekly's 2019 Leadership in Law honorees. 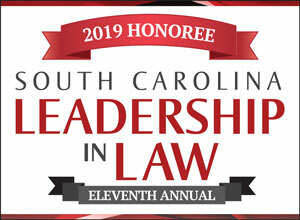 The award recognizes attorneys from across South Carolina who have achieved success in their law practice, made contributions to society, and had an impact on the legal profession. Kenny was selected for Columbia Business Monthly’s 2018 Legal Elite of the Midlands. He was also the top vote-getter among his peers in the field of personal injury. He was chosen by other attorneys in the area for his remarkable commitment to the community. The Law Office of Kenneth E. Berger was nominated and elected Best Personal Injury Law Firm by popular vote in Free Times Best of Columbia 2015 competition. Voted upon entirely by the community, this award is a testimonial to our professionalism and outstanding client service. 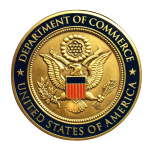 In 2014, the U.S. Commerce Department presented Kenneth Berger with this coin in recognition of his commitment to justice and small business. Kenneth Berger has been named a "Rising Star" by Super Lawyers Magazine for 2013, 2014, 2015, 2016, 2017, and 2018. It is a peer-recognition award which only 2.5% of attorneys in South Carolina earn. These awards are a reflection of what we have done for others. We hope to do the same for you. To learn more about how our firm can be of service, call our Columbia, SC office today for a free consultation at 803-790-2800. Disclaimer: Our ethical rules require me to remind you that any result I may achieve on behalf of one client in one matter does not necessarily indicate similar results can be obtained for other clients. In addition, some results are obtained in connection with other firms.